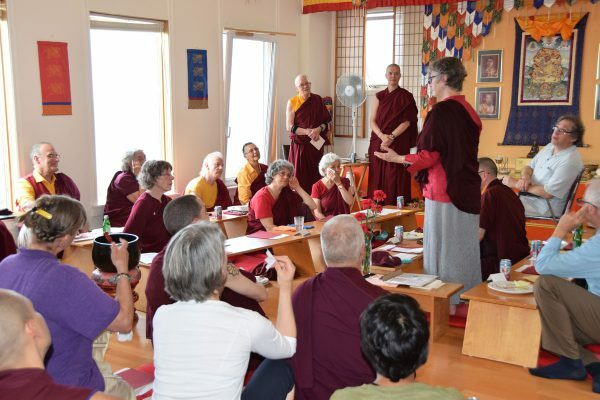 August 20th, 2017 marked the end of the final phase of the Group G 3 year retreat at Sopa Choling Long Term Retreat center, Gampo Abbey. 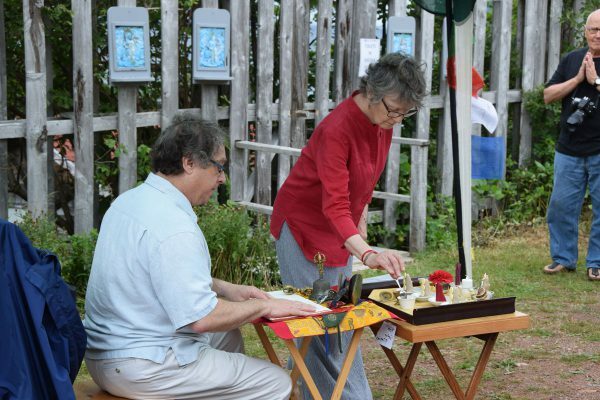 The retreat ended with a Gate Opening Ceremony where the boundaries of the strict retreat were opened allowing the 10 retreatants to join their friends and family who had gathered to celebrate their accomplishment. 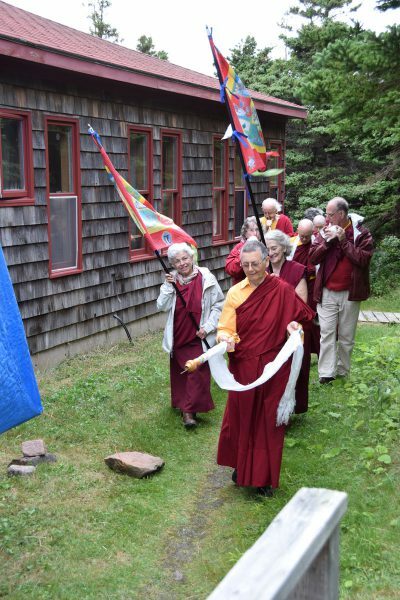 The Gate Opening Ceremony was lead by Larry Mermelstein, Director of the Nalanda Translation Committee and Nancy Huszagh, the Druppon (retreat master) of the retreat. 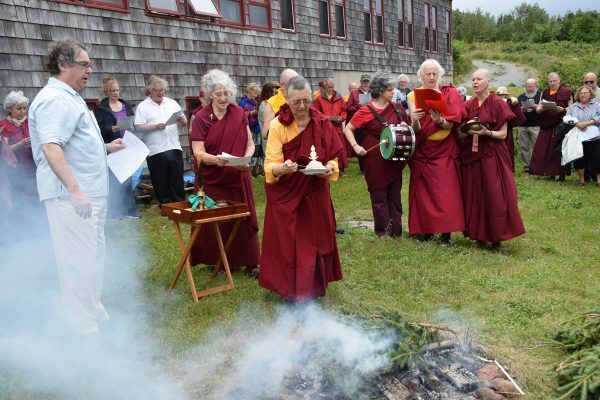 Upon completion of the Gate Opening Ceremony the guests joined the retreatants in a ritual three circumambulations of the retreat center which was followed by a lhasang, smoke offering ceremony, to cleanse and purify obstacles and invite uplifted energy. 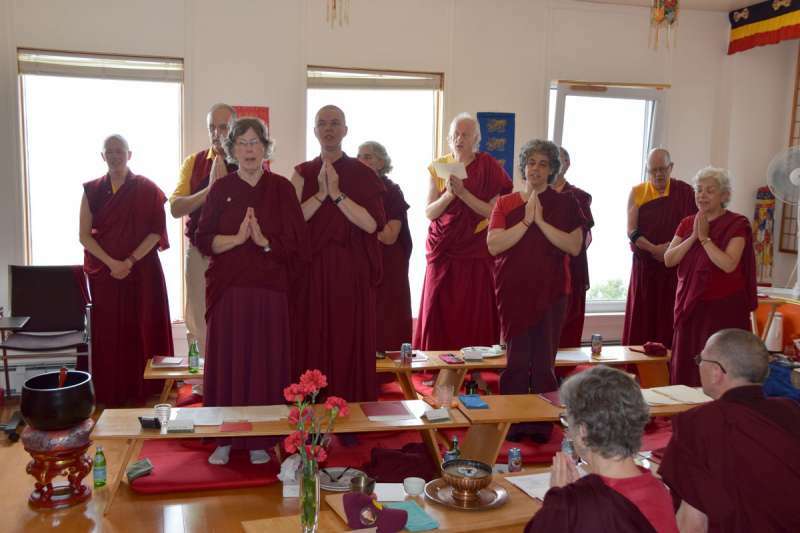 Following the lhasang, everyone gathered in the main shrine room in Sopa Choling for a Sadhana of Mahamudra feast that was followed by songs and offerings from the retreatants and guests. 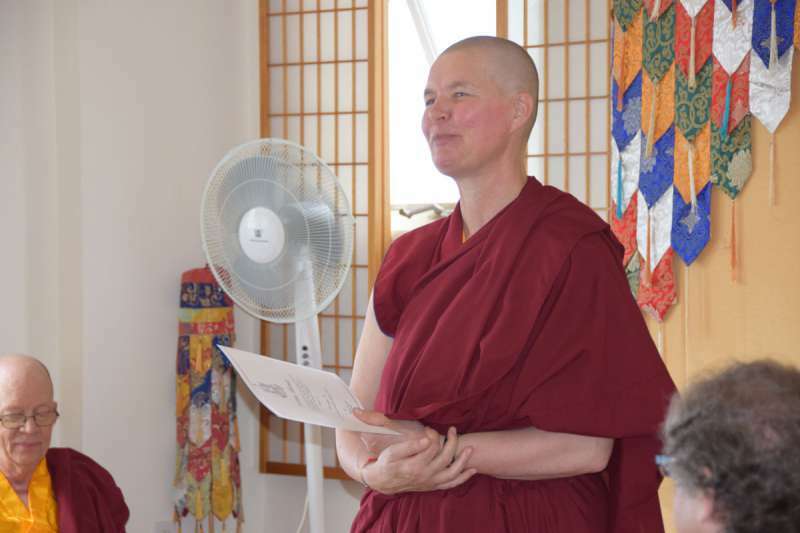 Help to sustain and support Ani Pema and the monastic community at Gampo Abbey. You can make a tax-deductible online donation from our website. 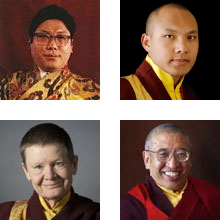 To find out more about the ways in which your support will be of most benefit.